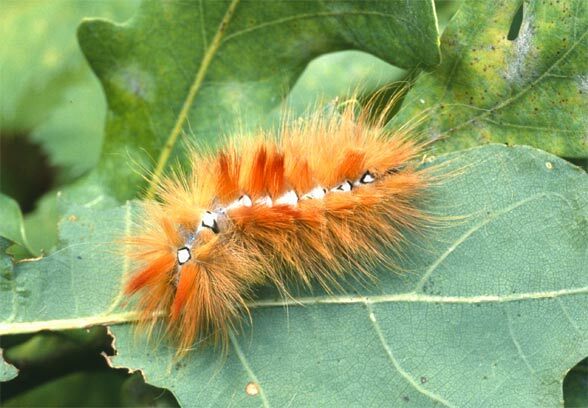 The larvae are polyphagous on woods, mostly Populus, Quercus, or more rarely also Acer campestre or Aesculus. 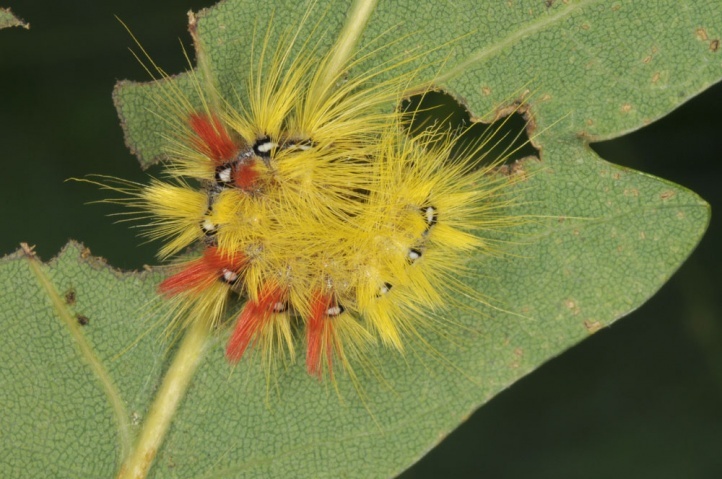 Acronicta aceris inhabits forests and other woody habitats. It is found even in urban areas. Acronicta aceris usually can be found in more humid mesoclimate or at least more common here, e.g. northern foreland of the Alps. 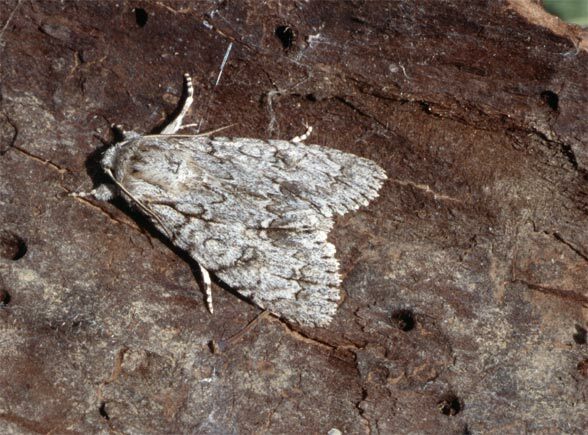 Acronicta aceris flies in a single to partial two generations from mid-May to early August. The pupa overwinters mostly under bark and can be found along with that of Acronicta megacephala for example on old poplars in winter. 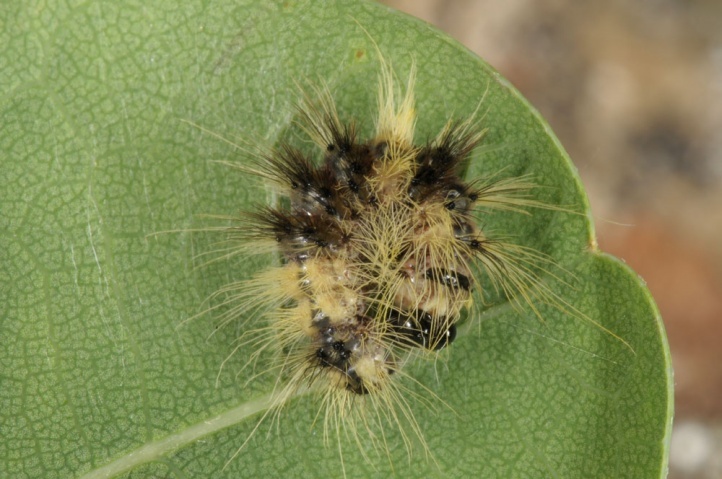 Acronicta aceris is in decline due to the monotonization of forests, the destruction of wetlands and also the often senseless felling of old hybrid poplar trees along roads or on cultivated land, partly under the guise of alleged conservation. Hybrid poplars are, contrary to popular opinion, however, principally valuable for insects if they are not planted in or near habitats worthy of protection like fens. The distribution extends from Morocco across Europe and to Central Asia.